Dan White wrote a wonderful Qt4 application for creating a personal D*I*Y planner. I like it a lot and it saves my job every single day since I use it. However, there is one flaw in his templates. The week numbers are missing in calendars. Luckily, he published his source code so I could make some fixes. And of course, I publish it to you for personal use as well. This entry was posted on Monday, May 18th, 2009 at 3:53 pm	and is filed under Miscellaneous. You can follow any responses to this entry through the RSS 2.0 feed. You can leave a response, or trackback from your own site. The Windows Executable 2.04 plus Fixes does not open. Then I try to open i get ( This application has failed to start because mingwm.dll was not found. Re-installing the application may fix this problem) I down loaded again but the same error comes up. It would be great to have the date on both pages. I’ve just installed the latest version of QT Creator (1.1.1) on my Windows XP PC. I’m really struggling to turn your source (or Ygor’s) into something I can compile and experiment with using QT Creator. Creator can’t find anything to work with. Can you give me an idiot’s guide to getting up and running, please? I’m well used to .net or Visual C++, but I’m finding it hard to get QT going. Hi again Ralph. When I run the compiled program I get the message “This application has failed to start because mingwm.dll was not found. Re-installing the application may fix this problem.” Do I have to manually install the dlls? 1) Prepare thhe Qt for static linking. This is a quite complicated process and I don’t recommend it unless you wanna share your executable with someone. 2) make sure mingw32.dll (or whatever DLL Windows complains about) can be found via your PATH environment variable (e.g. copy it to C:\WINDOWS\system32). For option 2 you would have to deliver mingw32.dll to other users along with your EXE – which is not a big deal as the license does allow it. 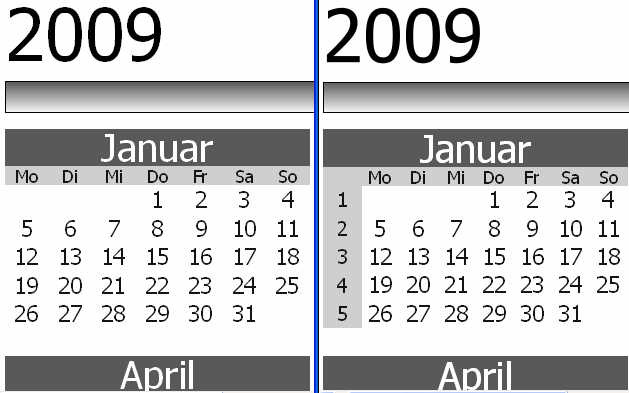 I just printed 2010 calender . Thanks for great help. I try DYI planner website , but they have a bug there in their ZIP. Do you still have your windows zip version – I can’t seem to download it!